Learn How to Structure Your Online Content? What do your readers want and need to know? What do the search engines need to know? The most import factor to consider! What is your business objective? Moreover, what do you want to achieve when building your website and what do you want your customers to do when they reach your landing page/home page. When you are planning your content you need to consider whether you want your customers to purchase a product or sign up to a web form for a sales lead. You will need to create a strategy based on what your objective is and what content is needed to achieve that objective? Your content needs to be tightly themed otherwise you are going to confuse the search engine with too many unrelated words and synonyms. For example: if you are a florist and you are wanting to sell “red roses”, you need to keep your topic focused on content about “red roses” and not write content around other loosely related terms like yellow daisies. The reason is, you will end up with unrelated keywords making it harder to target a particular product or service. If you want to mention “yellow daisies”, you will need to devote another page or subcategory to “yellow daisies”. Now that you understand the importance of a single topic for your keywords, you can focus on a theme for your article/story. Use synonyms that relate to “red roses” like “red flowers” or “red rose fragrance”, etc. Your website content needs to be relevant to the search query your customer types into the search field. Search Engines evaluate your websites content then gives your website a points score on relevancy and authority. The search engine will then match your site with the search query of your potential customer. This is why you need to have your content tightly themed so you are making the job easier for the search engine to nominate your website to be relevant and an authority on the topic of “red roses”. The more relevant your keywords are to the search query the greater chance your potential customers will find your site. If you forget your call to action you have lost the opportunity to gain a new customer. You need to leave prompts for the website visitor in clearly visible and understandable language and icons. Your customer wants to know how to navigate around your site and you need to show them as much as possible, with only a click or two away from the action you want them to take. Entice your reader to take action with prompts like: Call Now, Free Shipping or Learn More. Your site needs to have images and icons with Shopping Cart or Payment Gateways and buttons with “sign up to receive your free copy”. You need these prompts to convert to a sale, sign up to a web form, or to entice the reader to call your customer service line. Content is King! A popular and overused phrase many content creators like to use, basically stating that your copywriting is the main optimisation factor when building your online or offline advertising material. Your content is the foundation stone when optimising your website; once you have your strategy and content in place you can now begin to test and measure your content with Search Engine Marketing and the in depth statistics available through Google Adwords. 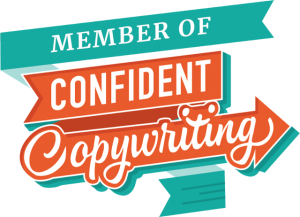 Your copywriting helps you to discover other related keywords your potential customers are using to find your business? Furthermore, by incorporating the correct meta tags, your content and keywords will also be indexed organically on Google, Yahoo and Bing. Currently, there are 200 factors to consider when optimising your website for search engines, some more important than others. Your content is the best place to begin and is the most important.